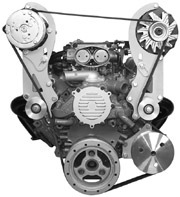 Brackets are designed for the 1992-96 Chevrolet LT-1 Camaro/Firebird with the 1-5/16" thick balancer. If using a Caprice, Impala or Buick engine it will require a crankshaft hub G.M. part number 12553250 used on 1992-95 Corvette and Camaro-Firebird engines. 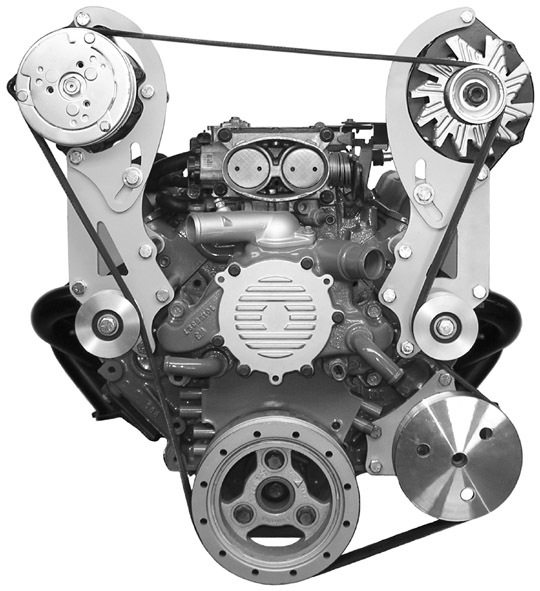 Brackets are designed for the 1992-96 Chevrolet LT-1 Corvette with the 2-1/8" thick balancer. Designed for our 303 kit: The power steering pump bracket requires the use of a G.M. type 2 remote reservoir, regular rotation power steering pump and a March Performance pulley. Information and part numbers for these pumps are included with the pump brackets. 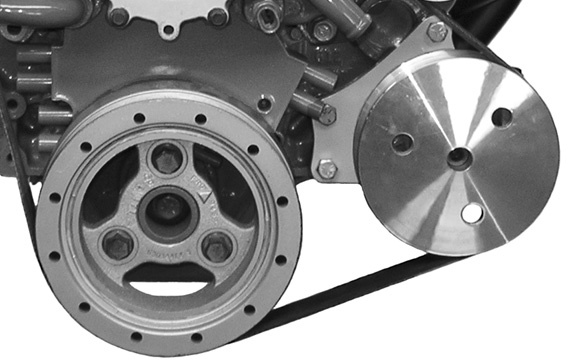 Designed for our 304 kit:The power steering pump bracket requires the use of a G.M. type 2 remote reservoir, regular rotation power steering pump and a March Performance pulley. Information and part numbers for these pumps are included with the pump brackets. This bracket mounts the alternator low on the passenger side of the engine. Works well where only an alternator will be used. Allows clearance for spark plug wires. Will work on all LT-1 engines by using a 2 1/8" thick Corvette balancer and a G.M. 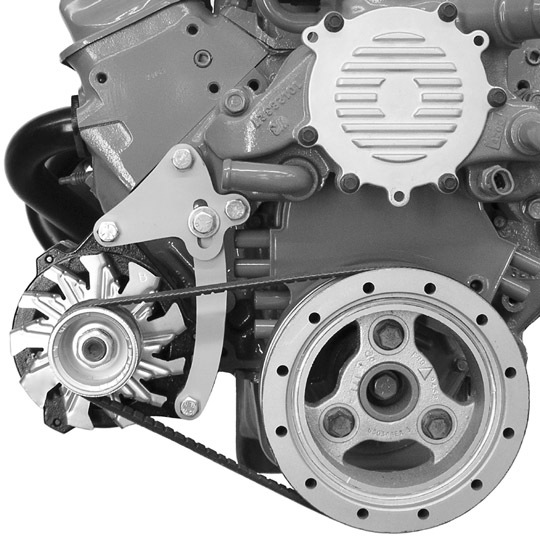 CS130 alternator with the 6 & 10 o'clock mounting points shown in the important info. page of this web site.